I got my first job when I was 14. At that age, I knew I wanted to buy a car when it was time to get my license. Two years worth of savings was just enough to purchase a bucket of rust. I named her Suzie. She lasted me less than a year — but she was my bucket of rust. In those days, if you couldn’t afford dealership prices, or get approved for a loan, you were stuck with whatever the newspaper classifieds had listed for sale. Today, the internet makes shopping, financing, and closing on a deal easier than ever. New lenders pop up regularly, with the goal of working alongside consumers that have damaged credit to get them into a car, so they don’t end up with their own Suzie. No matter your financial situation, you still need a car to get to and from work. The best way to improve your financial situation is being mobile and able to commute. 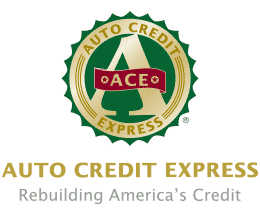 We’ve done extensive research on the best lenders for car shoppers that have bad credit with no down payment. Loan terms differ depending on the total cost and terms of each loan, but all three have a vast history of working to approve borrowers with varying financial backgrounds and means of repayment. Below is a choice of the three best lenders that will work to meet your needs. Your credit history and down payment directly affect the interest rate you’ll pay on your car loan, but they’re not the only factors in the cost of your loan. Around 20% of car loans completed in 2014 ranged in length from 72 to 84 months, indicating that lenders are willing to extend loans to meet the payment needs of buyers — just remember that longer loans comes with a price. The longer your loan term, the more you’ll have to pay through both your rate and your long-term finance charges. Used cars often have higher rates, but the cheaper sale price limits how much you’ll pay over the life of the loan. 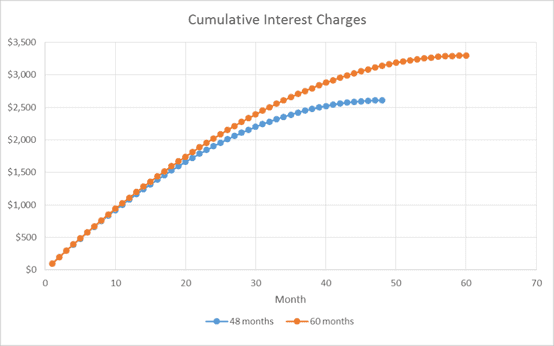 The graph shows how interest charges increase as the length of an auto loan extends. Note that many lenders also have minimum income requirements for applicants. Most range between $1,500 and $1,800 in monthly W-2 income (meaning you’re a regular employee that receives a W-2 tax form at the end of each year). 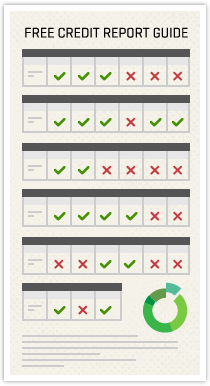 Be sure to check the standards for any lender you apply to before sending in an application. Additionally, most bad credit auto lenders require any bankruptcies to be discharged through the court before the application is made. A few will consider lenders that have their 341 bankruptcy meeting completed. Subprime lenders love to see a steady history of employment. It shows you can be trusted to make future payments. It also makes tracking income easier. The longer you’re at a job, the better it looks to banks. Regular changing of employment or careers can raise a dependability red flag. Much like employment, staying in one residence for an extended period makes applicants look more reliable. Your credit report shows previous addresses. If there’s a litany of changes made every few months, lenders may worry about finding you if you default on your loan. This continues to play into the reliable and responsible adult category. Maintaining a bank account without overdrafts and regular deposits show that you take care of your money and have an upward trend from your current credit woes. The balance doesn’t have to be large, it just has to be cared for. These could be secured credit cards, cell phone plans, or a small personal loan that requires monthly payments. Anything you can do to show a positive payment history will only help your cause down the road. Car shoppers often think a down payment has to be a large portion of the vehicle’s final price, but dealerships are typically willing to take any amount down. Even $100 shows that you have some skin in the game and are serious about paying off the loan. You could also look to decrease your purchase price (and your loan amount) by using a trade in. If you have an old car — working or not — you can always attempt a trade to knock a little off the overall cost of your new ride. You can get an idea of your trade-in’s value for free online. Lenders see the loans they extend as a partnership. They’re investing in you, and expect that investment to pay off in the form of repayment and interest charges. Whatever you can do to show them that you’re serious about the partnership will only work in your favor and get you closer to an approval. When I was 16 and used my savings to buy my first car, I didn’t care about value, or miles, or any of the things you look for in a used vehicle. I just wanted a pair of keys that made an engine turn. My naivety is probably why local tow-truck companies kept me on their Christmas card list for the next year. Shoppers today — regardless of credit history or down payment ability — have tools at their disposal that make shopping for a car easier than ever. Subprime lenders, like those suggested above, specialize in working with consumers that have bad credit and no down payment. The challenge is for the buyer to know exactly what they’re getting into before they sign for a loan. Study the terms and interest charges being offered. Shorten the loan as much as you can while keeping the payment affordable. Most of all, remain diligent with your credit profile after you’ve left the lot with your new car. Make all payments on time, remain at your job and current address, and show a positive track record with all of your other bills. If you can manage to do that, your next car loan will be easier and the terms more favorable. Most importantly, make sure the car you’re buying will last you beyond the life of the loan. Take it from someone that already made that mistake once. Rest in Peace, Suzie. You were a sweet ride.